CEID, with the financial support of the Wacław Felczak Foundation Hungary is publishing a study volume on the six dimension of the Polish-Hungarian bilateral relations. 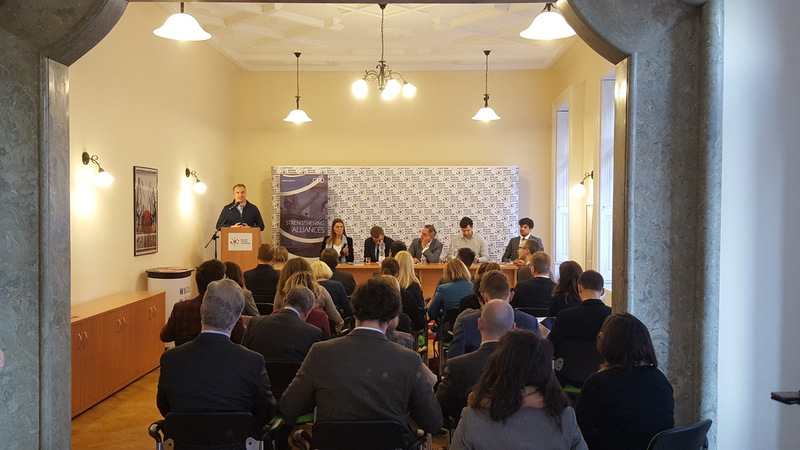 On February 27th, we organized a panel discussion with five of the authors to present the most important findings of the study volume to the public in the Foundation’s office. The volume contains six of the most significant areas of Polish-Hungarian bilateral relations: energy, defense and regional cooperation, the relations with German and Russia, and the countries’ places in the debate over the future of the European Union. 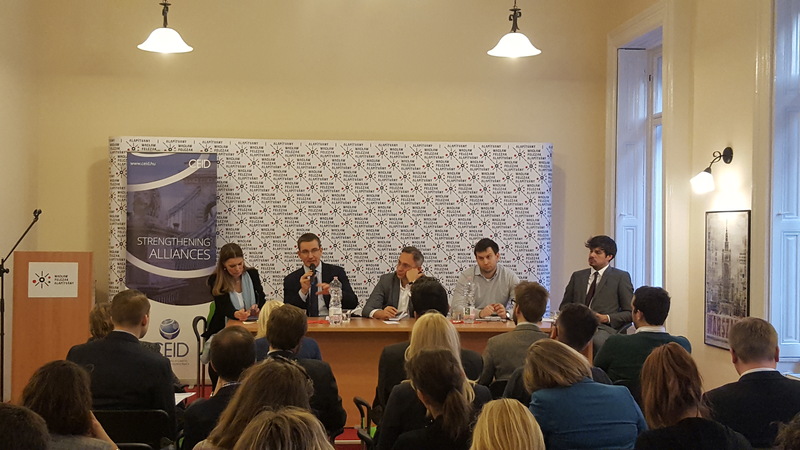 The authors of the regional cooperation, German and Russian relations and the EU vision studies, Péter Dobrowiecki, Ireneusz Pawel Karolewski, András Rácz and Dániel Bartha were present to discuss their findings with the moderation of Edit Inotai, co-author of Mr. Karolewski. After the opening remarks of Mr. Gergely Mohay, member of the Board of the Felczak Foundation, the special nature of the Polish-Hungarian bond was talked about, whether it is really something new and it is here to stay. All of the authors agreed with Mr. Karolewski that the common interests, issues that are viewed equally important by both sides, such as the refugee crisis, the institutional changes of the EU, the physical and digital connectivity of the region make this link relatively permanent, although there are signs showing frictions as regards Russia policy, energy security and being more competitors than partners in the relationship with Germany. In terms of regional cooperation, Mr. Dobrowiecki said that concerning the inclusivity of the V4 the countries hope to remain in the current format, as the V4+ format has been an effective platform to tackle broader issues together if they are clearly stated. He also mentioned the contructive nature of the partnership, which can be increased by deepening the regional cooperation with the Western Balkans, for instance. 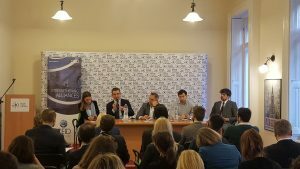 Mr. Rácz estimated five possible areas of disputes in the relations with Russia from a Polish perspective for 2019: the now-customary Putin-Orbán meetings, the issue of Ukraine, the Paks 2 nuclear power plant development, the sanctions, and the center of the International Investment Bank’s move to Budapest. Mr. Bartha explained that there is no reliable partner for Poland in the EU, not even Hungary, as there are dividing lines between members of the eurozone and those who are not part of it, which might become even more intense with the possible shift to the eurozone budget in the coming years. As far as the long-term cooperation is concerned, energy and defense are the most important. The increasingly integraded energy markets are pointing in this direction, as well, furthermore, the mutual raise of defense spendings and the possible deepening of partnership in softer defense issues supplement this, as well. To the question of which area should be the subject of closer cooperation, Mr. Bartha and Rácz both answered infrastructrure, Mr. Dobrowiecki voted for research and development, while Mr. Karolewski couldn’t see one. The Polish-Hungarian Alliance: Six Dimensions of Bilateral Relations will be available in print and online on our website in English, Hungarian and Polish. This project was supported by the Wacław Felczak Alapítvány.